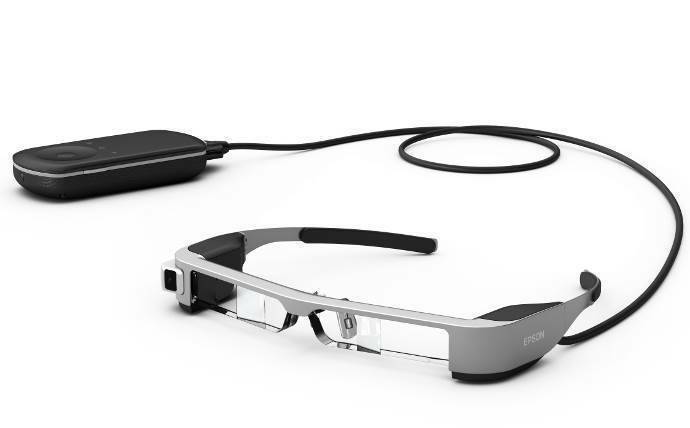 Epson announced at Mobile World Congress 2016 the third generation of smartglasses Moverio. 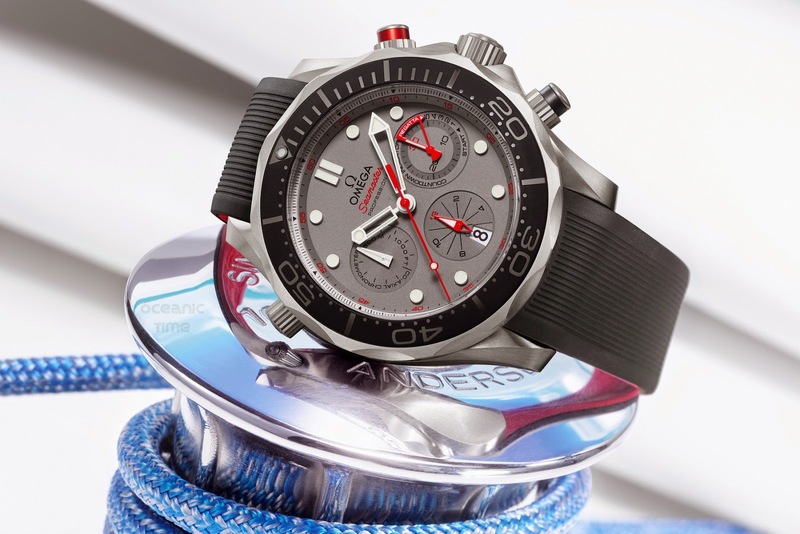 The new model takes the name of the BT-300 and is proposed as a solution foraugmented reality. The product looks like a pair of sunglasses. Each lens has a matrix-OLED(Organic Light Silicon Diode or OLED silicon-based Editing) from 1280 x 720 pixel resolution “0.43. Epson has used white OLED with RGB color filters to convey the images on the lenses.As with the previous models you can view content in three dimensions. Epson claims that the new model is lighter than their predecessors (the weight was reduced by 72%) and offers a visibly higher contrast ratio (something like 100,000:1), besides a larger gamut with superior color rendition. The glasses have connected the control unit (with touch pad) that also incorporates the “brain” of the smartglasses. The processor is an Intel Atom X 5 while the operating system is based on Android 5.1. On the front there is a 5 megapixel camera (the previous model used a VGA resolution) with status LED to indicate the operation (Epson justifies its presence in relation to privacy, so you can tell when the camera is on). There are also various types of sensors (like those of movement) and presumably the Bluetooth and Wi-Fi connectivity (found on earlier models).The integrated battery has arange of about six hours. The strategy is to focus mainly on Epson declared use of technology in the business and professional. By 2011, thanks to the work done at the side of over 2,000 ISV partners, including several Italians, the Moverio brought in several fields including value engineering, education and training, health, retail, tourism, culture and heritage conservation. Designed using our five years of experience in technology intelligent eyeglasses, the BT-300 brings significant improvements to both developers and users. Epson is currently working with various partners to develop applications. 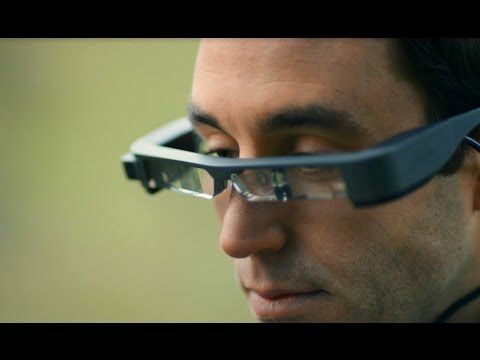 Among the companies involved there’s also DJI, which will adapt the applications for Phantom and Inspire to BT-300 smartglasses, in order to offer a streaming video taken from cameras integrated on the drones. 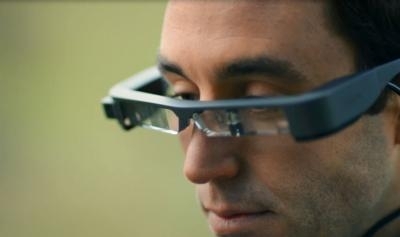 The Moverio are distinguished from other smartglasses on the market, in which often the form replaces the function at the expense of usability of the product. Every design decision we take is driven by consideration of the possible scenarios of final use of the product and our technology-OLED technology opens up new perspectives in the development of intelligent eyeglasses. In fact, with OLED we got many advantages: less weight and battery consumption, improved response times, higher brightness and contrast, HD resolution. In addition, by using the wafer silicon instead of glass, we can get a better view of the pixels.